Sauté the mushrooms and onions in olive oil until beginning to turn golden. Place a portion of fries on a serving plate. 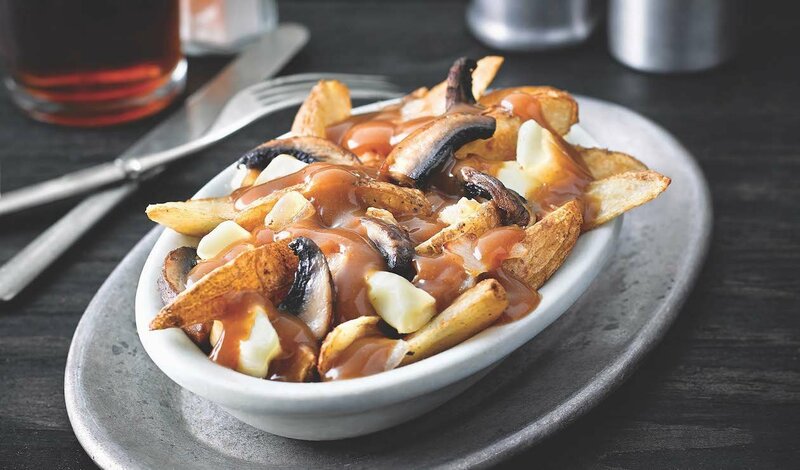 Top with mushrooms, onions and cheese curds. Ladle the hot preparedKnorr® Brown Gravy Mix over the top.